As the main interface with the world, our skin is wonderful at fulfilling its many roles. It does a lot of hard work for us and deserves some special attention. 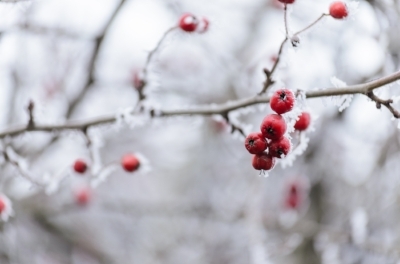 Winter can be harsh on our skin, and existing skin conditions such as acne rosacea and eczema can become significantly worse. Central heating dries our skin, and the cold temperature causes the blood to be diverted from the skin surface to retain heat. When we warm up, the blood comes flooding back into the skin, causing redness and sometimes itching and pain. We also wash our hands more frequently during the winter months, stripping the natural oils from them, creating further dryness that can lead to irritation and fissures. There are some simple measures you can take to reduce the impact of winter and protect your skin. The skin is a unique organ as it allows us to work directly on it from the outside in as well as from the inside out. Omega-3 and omega-6 fats contribute to the function and appearance of the skin by promoting smoothness and reducing inflammation. We call these fats essential, as we cannot make them ourselves and have to get them through our food. When we don’t have enough of these fats in our diet, skin can become dry, itchy and inflamed. The body uses vitamin A for healthy skin function and structure. Beta-carotene is a carotenoid that the body can convert to vitamin A as needed. Beta-carotene is found in plants, whereas vitamin A is found in animal based foods. We store excess beta-carotene under our skin, which is why some people who eat lots of foods such as carrots may have a yellow/orange skin tone. It is not harmful at all. 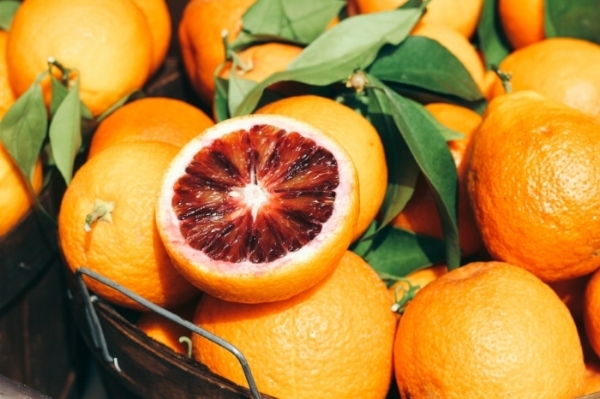 Vitamin C is found in high levels in the skin and is vital for skin health, contributing to collagen formation and influencing underlying structure and firmness. It speeds up the healing process, has antioxidant activity, helps prevent skin damage and can reduce the appearance of wrinkles. Vitamin C is mainly found in fruits and in some vegetables. green leafy vegetables such as spinach contain vitamin E and the best way to access this is to add an oil such as hazelnut oil or olive oil to your salad. Throw in a few sunflower seeds or/and pumpkin seeds for added vitamin E.
Zinc helps in the repair and maintenance of skin by assisting in skin renewal. The body does not store zinc, so including zinc rich foods in your daily meals helps to replenish this mineral. Drinking enough fluid during the day will replace fluid lost through the skin and help deliver healthy nutrients to the skin surface. Well-hydrated skin functions better and is more resilient. Do you know that some people can be moderately dehydrated and not feel thirsty? Trying to actively maintain a regular intake of fluid is beneficial – your brain will also be grateful as it will help your focus and concentration too. The phytochemicals found in green tea have been shown in some studies to have a positive effect on skin function by increasing elasticity and appearance, so consider adding green tea into your daily hydration routine. Pure witch hazel extract (preferably without alcohol) and pure rosewater make great toners, both have anti-inflammatory and astringent properties, and are completely plant based. They both have a long history of use as anti-inflammatory agents. Rose water comes from the distillation of rose petals. Witch hazel is made from the twigs and bark of the witch hazel shrub. You can also deliver oils to the skin directly to improve skin integrity and barrier function that prevents water loss and improves skin hydration. 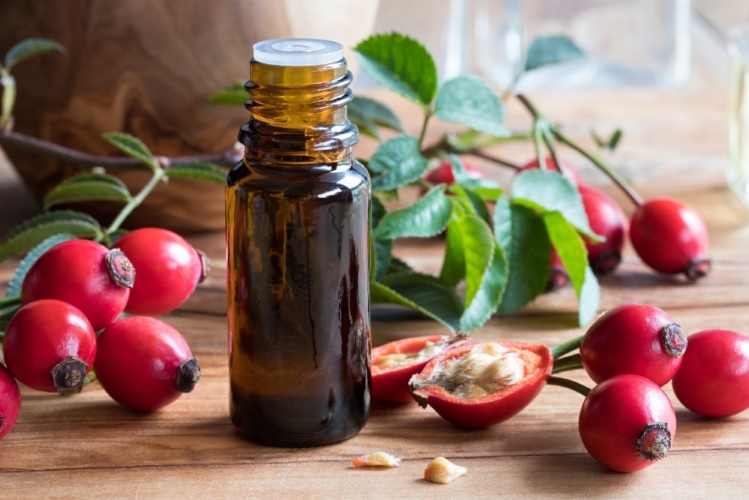 Rosehip seed oil is wonderful for the skin, especially when applied overnight. It locks in moisture and is one of the more easily absorbed oils containing omega-6 oil so adding nourishment to the skin. You can also add evening primrose oil or borage oil to the skin, either directly or added into your moisturizer. Moisturizers for the skin should be free of harsh chemicals as our skin absorbs much of what we put onto it. Herbalists work with plant-based creams such as calendula, lavender, rose, and chamomile. These plant-based creams are healing, hydrating and anti-inflammatory. Calendula cream or ointment is especially effective for healing the skin on chapped hands. We often mix the creams with the organic oils mentioned above. Spritzing your skin with a face mist can help with hydration. There are a number of spritz options on the market today coming in at various price points. Hydrosols made from organic plants such as lavender, frankincence, calendula, vetivert, neroli or rose are wonderfully effective and create a natural aroma. Hydrosols are aromatic waters produced during the distillation of plants for essential oils, so are considerably milder and more gentle than concentrated essential oils. Some hydrosol products have essential oils added to them, which can be formulated to address different skin types. It is a good idea to always try a little of any new skin product on a small patch of skin before using it more generally on your body.